When it comes to tools, it is always handy to know just what needs to be done to keep the tool in proper working order and to keep you safe. 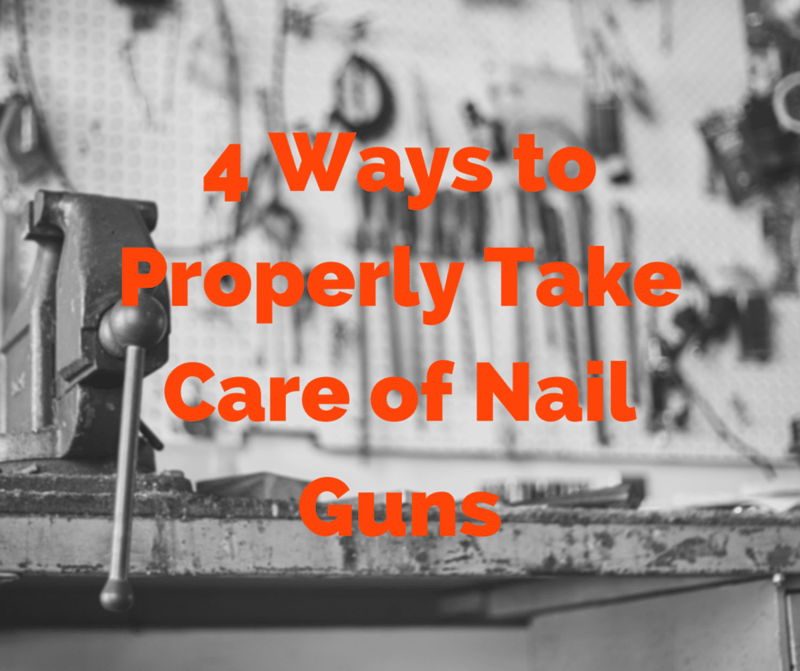 One of the tools that is very important to know how to properly maintain is your nail gun. Aside from proper nail gun storage, here are a few tips that can help keep your nail gun in perfect working order for years to come. Lubrication is going to be necessary to keep your nail gun working properly. Always use lubrication that is specified for Pneumatic Tool use. Other lubrication may cause the o-rings to swell, or could be too thick for use in the tools. Taking the time to make sure that the inner workings of your nail gun are in great shape is just one way to make sure it stands the test of time and keeps working for you. It is going to be necessary to change out seals in your nail gun and taking the time to actually change these out and take care of your nail gun is going to make all the difference. A bad seal can cause your nail gun to loose power and can ultimately cause a great deal of damage if not taken care of. Take the time to make sure that you are replacing seals regularly and that you are taking the necessary steps to keep your nail gun in great working order. The hosing to your gun is as important as any other component and can make a huge difference when it comes to the overall success and health of your nail gun. Take the time to make sure you have the right size hose, that you are using a hose that can handle the pressure that you are exerting, and that the hose has no cracks or breaks that can interrupt the air flow to the gun. Maintaining an even pressure is key to making sure that your nail gun is going to be working properly and that it is not going to malfunction. The right air compressor can make all the difference when it comes to your nail gun and the life of your nail gun. It is important that you take the time to find out just what compressor is going to work best for your gun and that you take the time to match them up to make sure you have the right compressor for the gun you own. Make sure the compressor has enough power to sustain proper pressure throughout the use of the tool and the regulator on the compressor is working properly. Too much air going through the nail gun can cause damage to the seals and break the tool. If properly maintained, your nail gun will be able to be a safe and reliable tool for your many project needs.